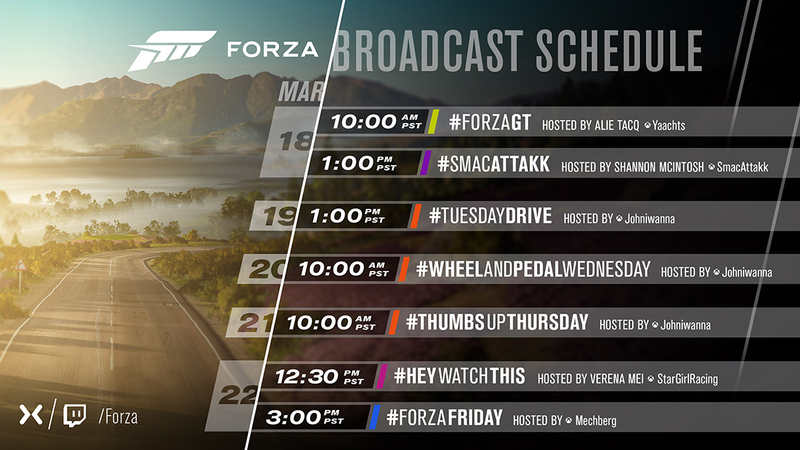 Coming off the back of a huge day of streaming on the Forza channels last Friday, this week we saw updates in both Forza Horizon 4 and Forza Motorsport 7. Series 7 is here in FH4 (along with the warm weather of the summer season) and, with it, new features like the Festival Playlist; a one-stop-shop to see everything that’s happening each season. There’s lots of stuff going on in Horizon 4 this summer and great rewards to win. 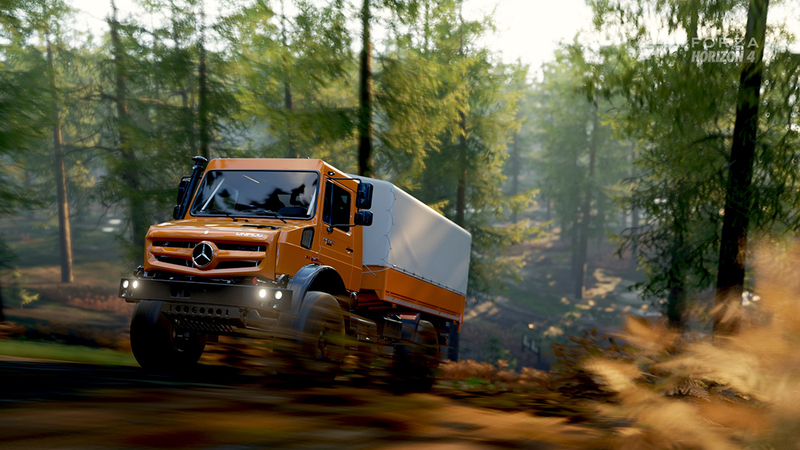 With that in mind, we changed up our story format here on FM.net regarding Horizon 4’s season changes. With today’s story, we’re focusing on the cars that are available to win. As you’ll see now there are two reward cars per season (in the case of summer, for example, the Ford Mustang RTR Spec 5 and the Porsche 914/6) and two Series reward cars (for Series 7, the Ferrari F50 GT and the Ford Capri Forza Edition). Good luck on collecting all the amazing Series 7 cars. Over in Forza Motorsport 7, the March update launched on Tuesday and brought three new RTR Spotlight cars: the Spec 5 Mustang, as well as the drift cars piloted by Formula Drift pros Vaughn Gittin Jr. and Chelsea DeNofa. Alongside the cars, the March update also featured a new cockpit drift camera, collision improvements, and some wheel settings changes that you can learn more about in our March update announcement story. Forza weekly photo contest winner by Keischa Assili. Perhaps the biggest news for race fans in March is the first appearance of Forza Race Regulations (FRR) in the form of our closed beta hopper. As we outlined in the announcement story, this private beta is just the first step in rolling out the FRR feature set over the coming months. Our plan is to open the public FRR beta hopper in April, so look for more information about that soon. In the meantime, if you want to see how FRR appears now versus how it will appear after the April update, check out last Friday’s episode of Forza Monthly (the video demo begins at the 1:24:26 mark). The FRR journey has officially begun in earnest and I’m looking forward to hearing from players as it continues to evolve. 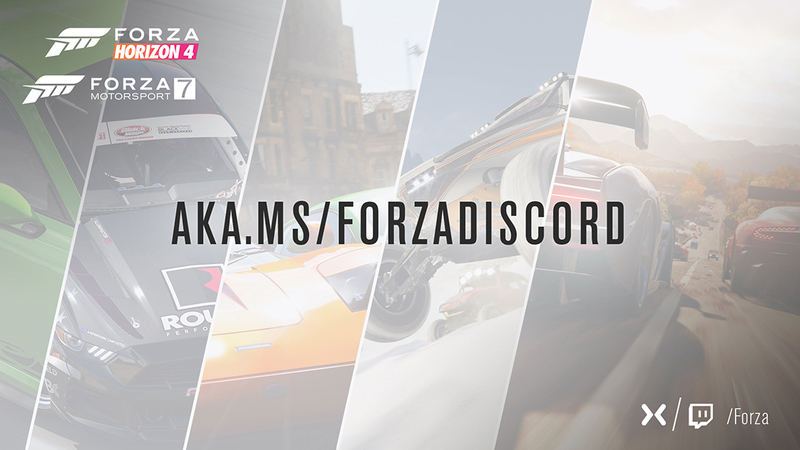 As always you can share feedback with us on any Forza social channels, on the Forza Forums, as well as on our recently opened Forza Discord channel. The March edition of Inside Xbox aired earlier this week, featuring a celebration of Women in Gaming across Xbox and the industry (if you looked closely during the show’s intro, you might have recognized Kari and Jenn from Turn 10; each of whom have made recent guest appearances on Forza Monthly!) You might have also seen a segment with Xbox’s Kareem Choudhry talking about the latest news on Project xCloud – the Xbox game-streaming technology that is meant to complement console hardware and give gamers more choices in how and where they play. Look for more updates on Project xCloud in the future. As noted today in the Groove Music OneDrive Streaming FAQ, as of March 31, 2019, OneDrive music streaming in Groove Music will be retired. Beginning on March 31, streaming your music through Forza Horizon 3 won't work, and the in-game OneDrive music feature will be turned off. You can keep listening to your music using the OneDrive web player or by downloading your files and playing them in the Groove Music app. eSports racing team announcements don’t get much bigger than the one made by Red Bull eSports Racing Team earlier this week. Three of the heaviest hitters in previous Forza Racing Championship seasons – including Zach Taylor (aka Venom), Robin Betka (aka bbbb0x) and 2018 ForzaRC champion Aurélien Mallet (aka G2 Laige) – are joining the Red Bull team as part of its racing eSports program. This is surely one of the strongest driving lineups in eSports racing history and it will be fascinating to see how other Forza teams react, as well as how these three drivers gel on the track once green flag has dropped. Stay tuned! 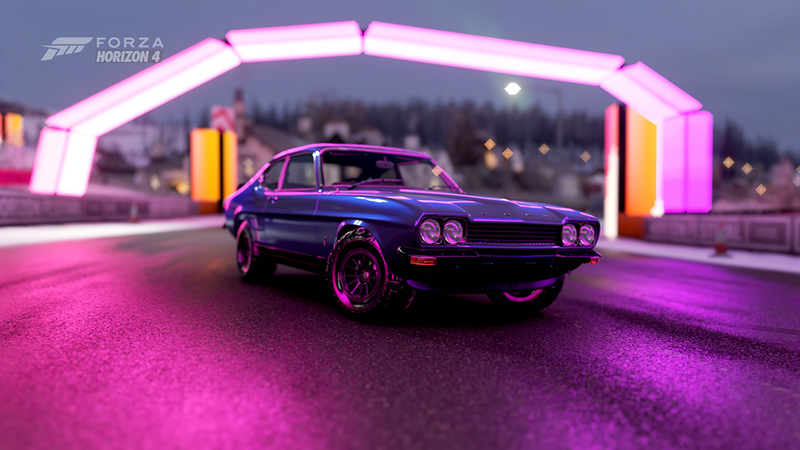 Forza weekly photo contest winner by LoCoCrAzY2000.